“In the last generation of the Jeeps, we created the door hinge and body straps out of aluminium. For this generation, we are responsible for even more parts, such as the body straps, door straps, hood and windshield hinges, and swing gate,” said Vice President of Advanced Development at Lucerne International Jennifer Nitz. “We worked with Dura Automotive, a global leading manufacturer of structural body systems, to redesign most of the parts out of aluminum alloys, which is more light weight and more stylish than steel, ” said Nitz. Lucerne International is a global manufacturing company that has JV and strategic partnerships with several manufacturing plants worldwide. They provide cast, forged and stamped components for chassis, powertrain, structural and exterior automotive components. If it’s metal, they move it. 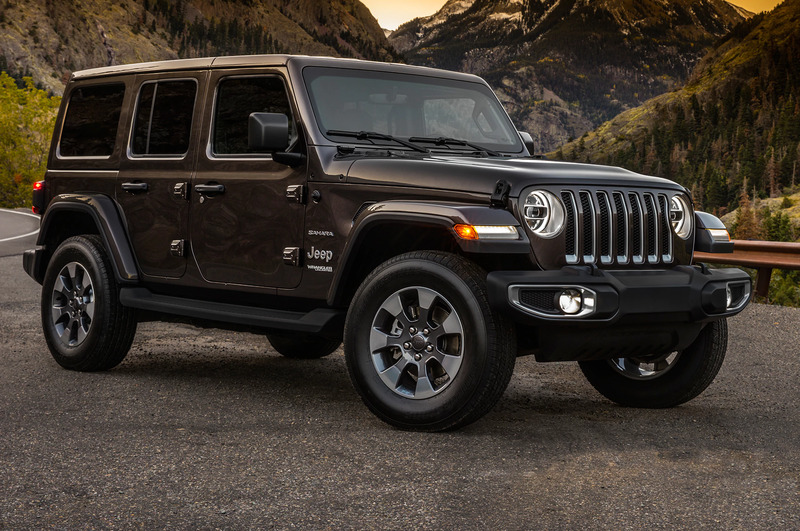 They manufacture the components for the Jeep Wrangler at seven main facilities throughout China and Taiwan and several smaller facilities for secondary processing. “[We] are very good at understanding how to do business in China. We know how transit works and we understand the culture. Having over a 10-year relationship with China, it’s huge for the company because we are able to offer high-quality parts for a lower price,” said Nitz. Once the part is manufactured, it is shipped to Lucerne’s North American inspection facility in Auburn Hills, Michigan , where its skilled staff performs a Class A inspection and packages the parts into customer supplied dunnage for ease of assembly. “They are very observant, which is necessary with Class A parts. You need to have a good eye for finding dents and dings and defections since the parts will be showcased on the outside of the car. “Lucerne’s team can see details most people would look right over; they know exactly what to look for,” said Nitz. Class A refers to any part that is visible on the exterior of the car. One of the new features of the parts that Lucerne manufactures for the Jeep Wrangler is that they are painted to match the car’s exterior. This in itself makes the inspection process imperativ. “It’s like hand-crafting a piece of jewelry for the car,” said Nitz. Once the parts are manufactured and inspected, they can then be sent to the FCA assembly lines to be fitted with the vehicle and, eventually, make their way to the showroom floor. Seeing the vehicle’s journey from the smallest forged piece all the way to a show like NAIAS is a rewarding experience for Lucerne. And while their work speaks for themselves, Lucerne is not only making innovations in the automotive manufacturing space, but also breaking chains within their own organization. Lucerne International is a certified Woman-owned Business Enterprise (WBE) with a mostly female leadership team. This is one of the reasons that Nitz enjoys working with her team at the company. 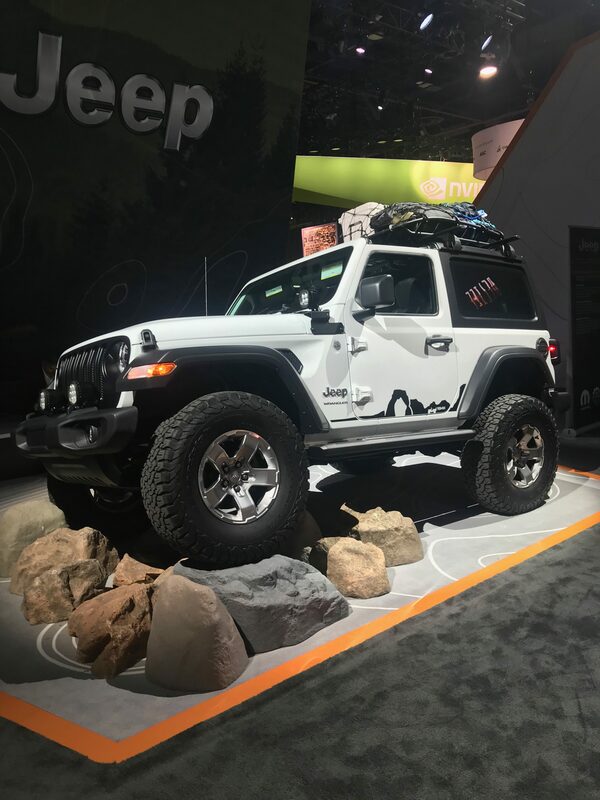 The 2018 Jeep Wrangler is currently on display at the North American International Auto Show in Detroit through January 28. To learn more about Lucerne International and the other great work that they do, visit www.LucerneIntl.com.